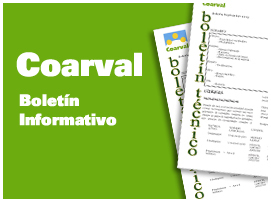 COARVALoffer its cooperatives a global communications service through its operator Orange. In a sector as dynamic as that of telecommunications COARVAL is constantly upgrading in order to offer its partners the latest products and technology to appear on the market. It has agreements with leading domestic suppliers in the telecommunications accessories sector, with an aim to providing an integral service to clients. The agile after-sales service gives quick response to any event. The training and advisory services given to personnel at the point of sale is managed by a specialist advisor who collaborates in developing the activity in the cooperatives which sign up for this project.